Students and alumni, when you first looked into the Rainier Writing Workshop, did you ask what an Outside Experience was? Have family members since asked you what it is you have to do for that school you’re in? Did you head into your second residency still a little unsure of what was required of you? This time last year, I probably would have described the Outside Experience as something that takes you outside your normal routine, inspiring creativity and giving you an opportunity to produce work. Those are all true points. However, my Outside Experience taught me that it’s about something even greater: courage. 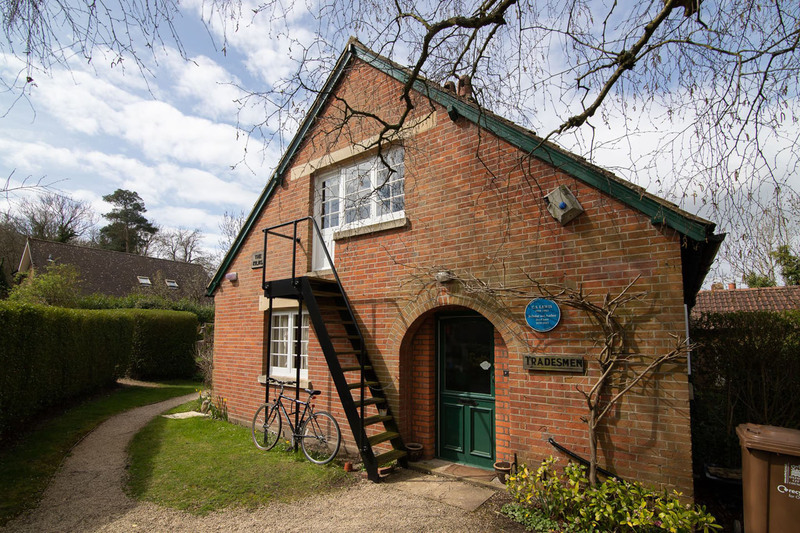 It started even before I stepped foot on a plane or signed any paperwork, when I first realized that I could apply to be a scholar-in-residence at C. S. Lewis’s house, the Kilns, in Oxford. The idea was much bigger than any of my normally realistic expectations, closer to a dream—just a little below actually teaching at Oxford. The very fact that this dream was so huge made it terrifying. The simple act of contacting the program—saying, “Yes, I believe I am a good fit for this opportunity”—took resolve and confidence. And that resolve and confidence was required every step of the way: facing my fears of interviews, traveling for an extended period of time, buying plane tickets, living in an old house, learning a public transit system, and more. And then there were the Bodleian Libraries. "The very fact that this dream was so huge made it terrifying. The simple act of contacting the program—saying, 'Yes, I believe I am a good fit for this opportunity'—took resolve and confidence." The Bodleian Libraries are a collection of Oxford’s centuries-old libraries. The oldest and largest of which, simply called the Bodleian Library or the Old Library, is over 400 years old and is the second-largest library in Britain. The public is allowed in for paid tours, but in general, the hallowed halls are limited to faculty and students of Oxford. As a student through RWW, I learned that I could apply for a temporary reader card. So last March, the day after I arrived at my temporary home, I took the bus into the city center and found my way to the Admissions department. I was buzzed into the office, where I sat restlessly waiting to be called to a desk. The young man who called on me was polite enough, in a brusque way. Every question he asked came in a tone of interrogation and slight impatience. During the cross-examination, I was required to explain my nascent ideas for my Critical Paper and why I needed the Bodleian Libraries to work on my project, including what specific resources I would be using. And then I needed to swear an oath—out loud—promising to not steal books or burn the place down. Left: The Radcliffe Camera (part of the Bodleian Libraries). 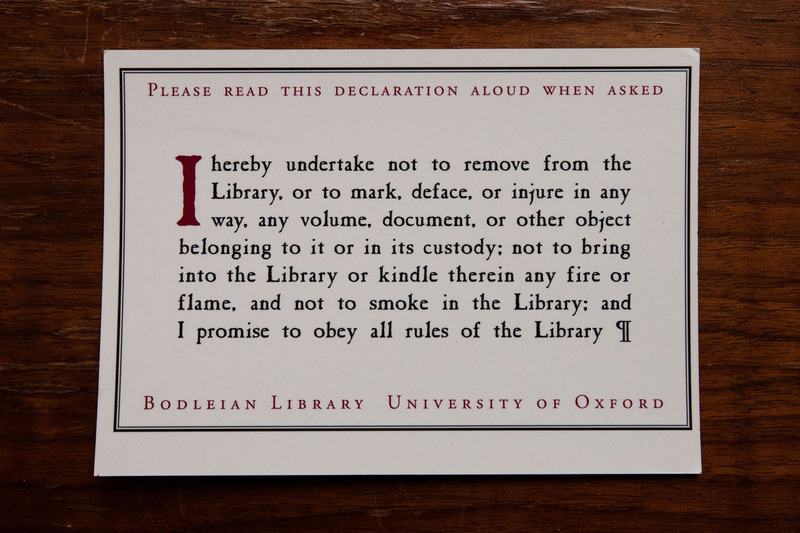 Right: the Bodleian Oath. The Radcliffe Camera (of the Bodleian Libraries). I generally don’t do so well in interviews. I stutter, forget words, and become flustered when I’m asked to defend myself. And that’s why it was so hard this time—I needed to defend myself. I needed to prove that I was here for a reason, that I was a writer who deserved the chance to work in this privileged place. But I doubted myself. 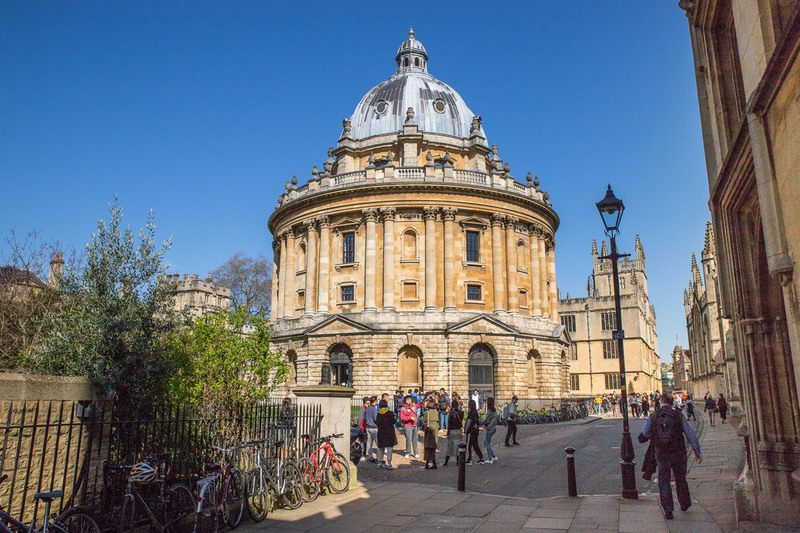 What if I shouldn’t be there—not just in the Bodleian Libraries, but in England, or even in the Rainier Writing Workshop? What if when I finally sat down to write in these deathly quiet halls of books, I had no words? What if I had flown to another country to find that I could not produce anything worth reading? What if I wasn’t a writer? While I’d heard others talk about the transcendental experience of finding the perfect flow of words, I sometimes sat at a blank screen for hours, trying to force myself to type a single line. Going to a perfect environment such as Oxford to write meant I’d have to face the fear that this writer’s block might happen even here. And what would I do then, when a calm atmosphere, no distracting job, and few chores still did not inspire perfect prose? I would press on. I would tell the man at Admissions about my early ideas for my Critical Paper. I would look for relevant texts in the gray basements and the hallways lined with royal portraits, finding books of Marilynne Robinson’s essays, discussions of the self in autobiographies, essays on faith in literature that would never make it into my paper but were intriguing nonetheless. 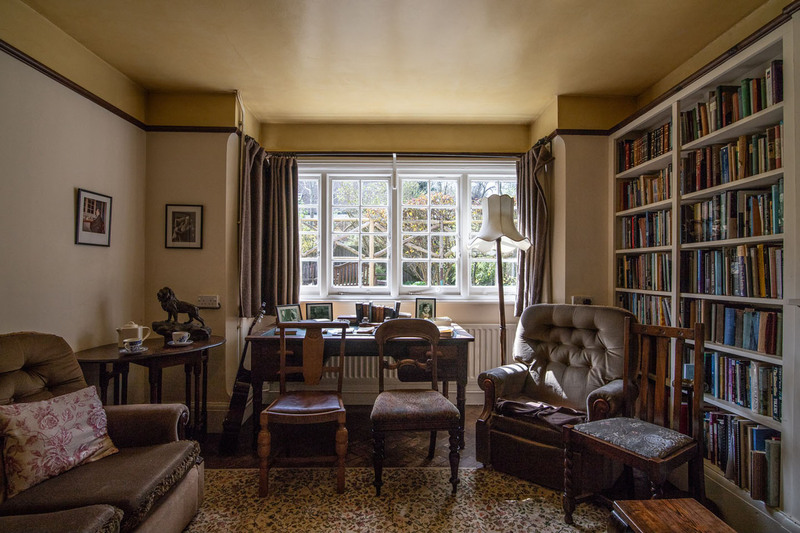 I would sit at my computer in C. S. Lewis’s house and push myself to write one line at a time, regardless of my fears that I was not eloquent enough, productive enough, creative enough. Top left: View from Addison's Walk, Magdalen College, Oxford. Top right: Outside the Kilns. Bottom left: the sitting room of the Kilns. Bottom right: Hannah's room. 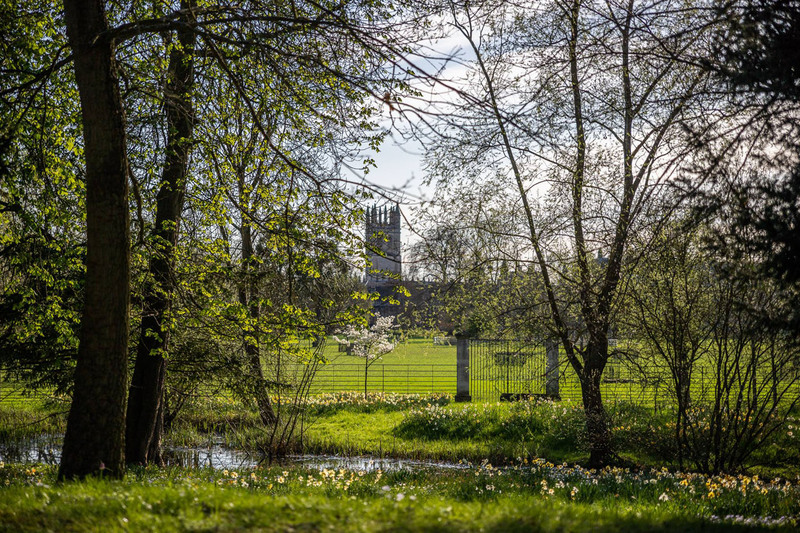 View from Addison's Walk, Magdalen College, Oxford. The sitting room of the Kilns. 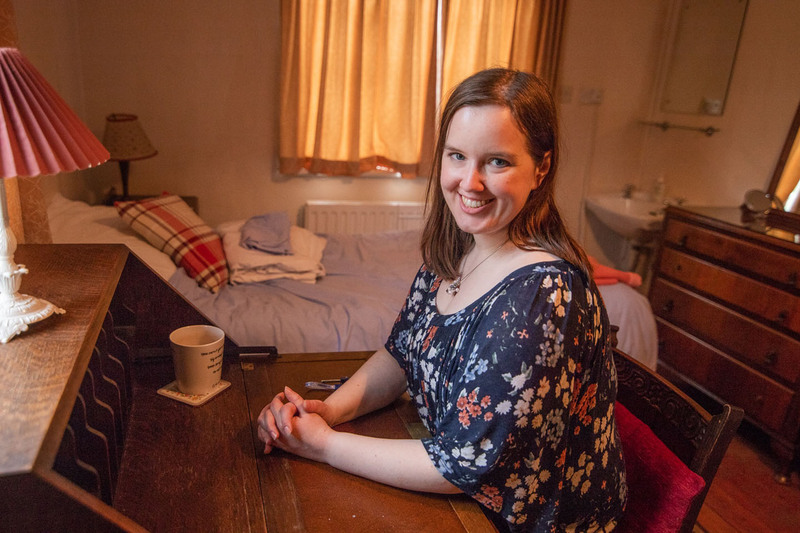 The type of courage I found while writing at the Kilns and in the Bodleian Libraries was the courage to believe in myself as a writer. The more I told others about my work—my Critical Paper analyzing writers of faith, my collection of essays for my Creative Thesis, the poetry I’ve written and refined—and the more I risked embarrassment, rejection, and failure, the more confident I was that I could finish my Critical Paper, write new essays, and continue to steadily become a stronger writer. It’s the courage I needed as I daily worked on my Critical Paper this fall, still unsure where I was going with my ideas. It’s the bravery I still need every time I face a blank Word document and worry I won’t find the words to type next. This is what an Outside Experience is for participants at RWW. Courage is the key factor uniting the myriad projects and trips and residencies we complete. The Outside Experience requires stepping boldly into something new and intimidating, believing that you can do that internship, residency, extended journey, or whatever else you dream up. If you are a member of the RWW community, you are a writer. As a writer, you can be—you must be—courageous.